Jeanne Opgenhaffen (Personal show 2014). Erna Aaltonen is a Finnish studio potter renowned worldwide for her hand-built sculptural vessels. 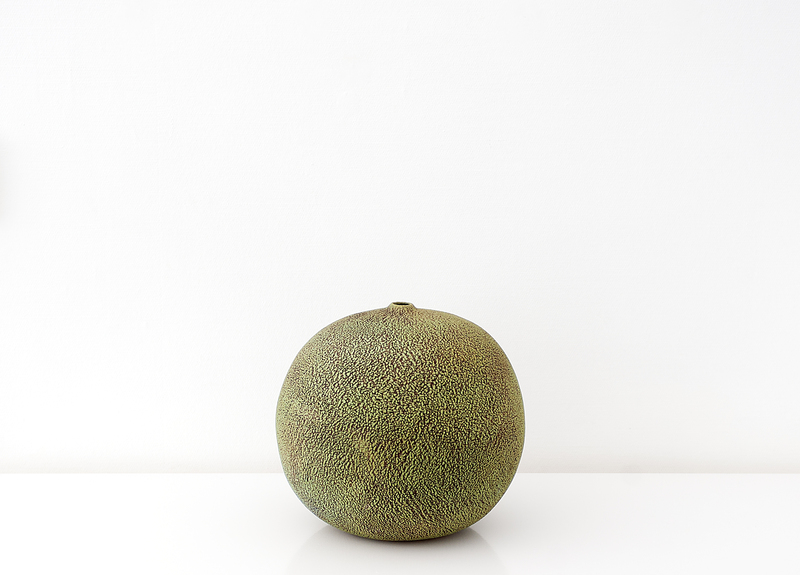 Her simple elegant forms of coarse stoneware clay with rubbed oxides on their rough, pitted surfaces are for many collectors the very face of the contemporary Finnish aesthetic. 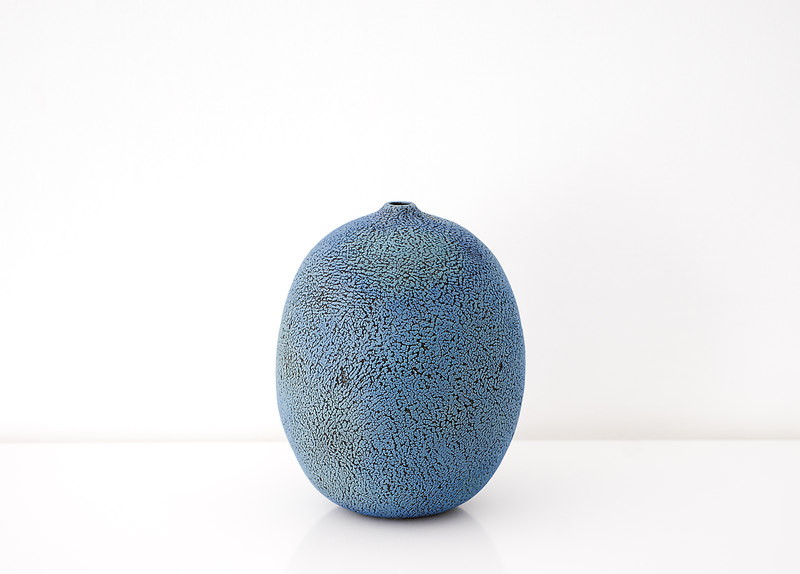 Unlike many of the other leading lights of Scandinavian ceramics, Aaltonen only began her ceramic studies at the Kuopio Academy of Design at age of thirty. Ever the technically consummate professional, she spent much of her early career assisting many of Finland’s major artisans, designers and ceramicists in the technical realization of their ceramics, refining their work at the legendary 130 year old Arabia Finland ceramics factory. Since 1996, she has maintained her own studio in the old Fiskars ironworks that date back to 1649. By leaving an opening in the shapes she creates, she preserves the connection with the interior, at the same time referring to that invisible space as the inspiration for the form. The opening is an important element through which the work breathes. Jeanne Opgenhaffen (Personal show 2006), Erna Aaltonen (Personal show 2016).